In an absolutely epic Twitter thread (unrolled here) author CZ Edwards lays out an incredibly compelling explanation of spiralling real-estate prices: oligarchs need to launder a lot of oil money -- think Russia, Iran, ex-Soviet basket-case states, Saudi -- and so they plow the money into offshore Real Estate Investment Trust that then cleans it by outbidding any actual real-estate investors or would-be homeowners, bidding up and snapping up all the property in desirable cities, and then realizing the rental income-flows as legitimate, clean money. It's as neat and compelling a way of describing the link between oligarchy and spiraling real-estate prices as you could ask for. Shelter is not optional, so people will spend whatever it takes to get a roof over their heads. Cities are not infinitely sprawlable, so it's possible to corner the market on places to live in them. Eventually, the parasites will devour the hosts and leave the cities empty shells (ahem, Venice), but by then the money-launderers have sold up and moved on. 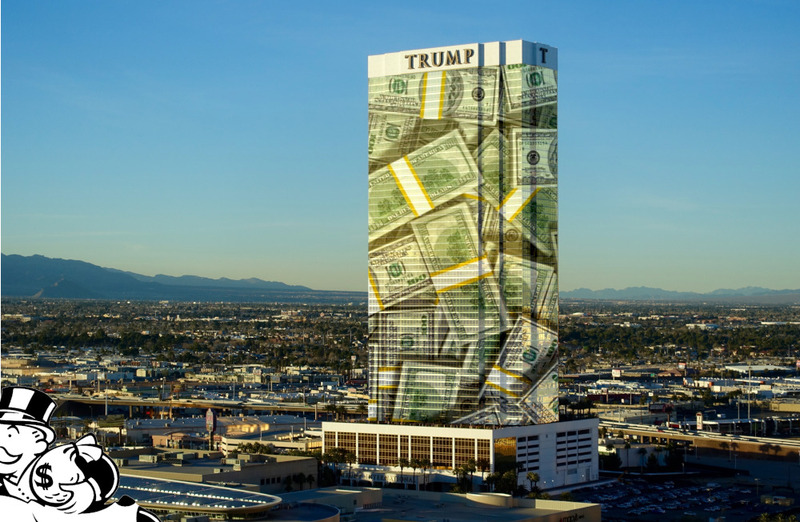 And of course, since real-estate is a great way to launder money, real-estate developers are often mobbed up af, which explains a lot about the president and his grifter inner circle. Edwards points out that her work on money-laundering came out of her research on a novel called "Rien's Rebellion: Kingdom" (" Once upon a time, a nation’s fate depended on an informant, a lawyer and a warrior. They all lived under a good Monarch’s leadership. Until he was assassinated."). e. A few over-priced, stupid apartments? Does it really matter. Not as much, no, but that’s not where most of the laundering happens. It happens at the basic apartment building level. Because of a thing called a Real Estate Investment Trust. Let’s take... a California dingbat apartment building. Usually 4-8 apartments. (Earthquakes can be a problem...) They sell for $10-$20M, depending, and bring in $8K-16K month in revenue. So... let’s say you’ve got 25 money laundry clients, all with about $3 million (after you & your washing cut) they need to invest. $75 mil? Let’s buy 6 dingbats and put them in an REIT. Which hires a management team, which collects $2K rent from each apartment, each month. 6 buildings, 8 apartments each x $2K: $96K month in revenue. The management company takes 20%. Your money laundry clients get $76K per month of clean money- it all came from legal, legit rent investment income property. REITs clean the money better than a dry cleaner. I am oversimplifying, but not by much. There are some shell corps in there, some in Caymans or Seychelles, but also Delaware, Wyoming, North Dakota, and Nevada. What happens when there’s not much real estate to put in a REIT? Well, remember, there’s loss in money laundering? A REIT backed by money laundering doesn’t really care if it costs $5M for $10M for an apartment building. In a way, the $10M apartment building is better, because it cleans more money in one go. And they can outbid someone looking to own a 6 apartment dingbat. If the REIT buys a building for an inflated price, and they’re getting clean money monthly? They can just sit on it until someone legit comes along, having convinced a bank to make them a very large mortgage on an inflated price. Look at expensive cities. It’s not an accident. The Boston Globe has published a giant weekend package of responses to Elizabeth Warren's proposal to break up the Big Tech monopolies.